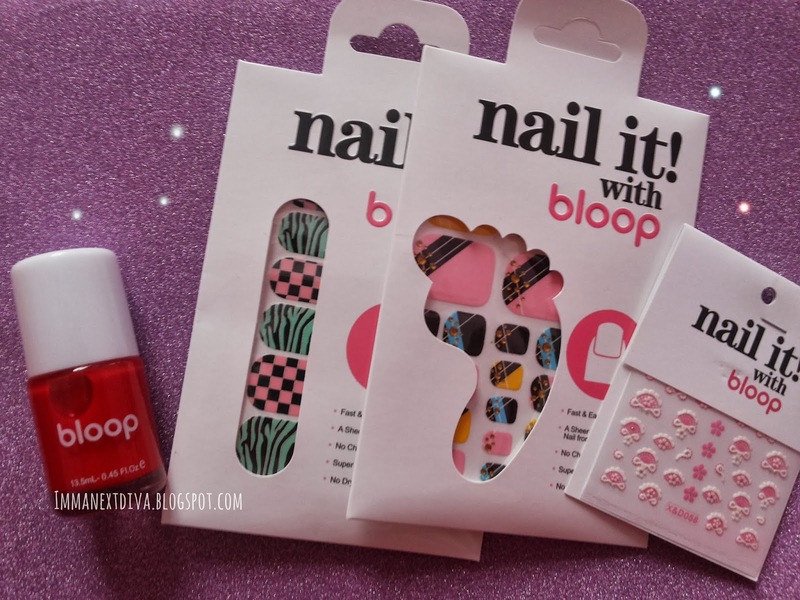 Today I'm going to review products from bloop and I also going to do a tini tiny bit of demo with one of the products. I got quite a handful of nail products. I'm not really a 'nail polish' kind of person but I have quite a few of nail polishes. I got a bright red color with orange undertone in the color H171 (correct me if i'm wrong I can't seem to find the color name). 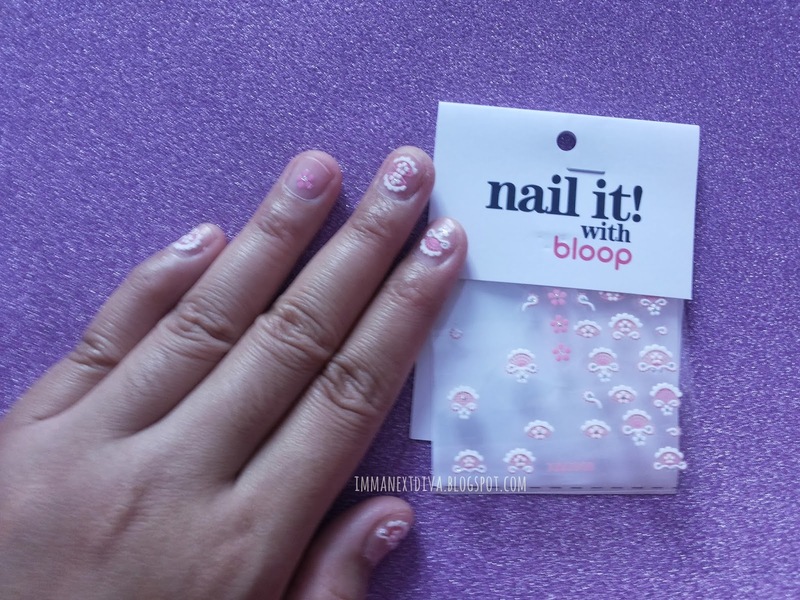 I never tried anything from bloop before specifically the nail products, but this nail polish claims to quick dry, ultra glossy and long lasting. The first nail it! strip that I got is specifically for slimmer type of nails I believe. The only downside of these products are they didn't put any names and I find it quite difficult to point out the designs without name system. The second nail it! strip as you can see in the picture above is for a person who have a wider-type of nails. And the last nail! 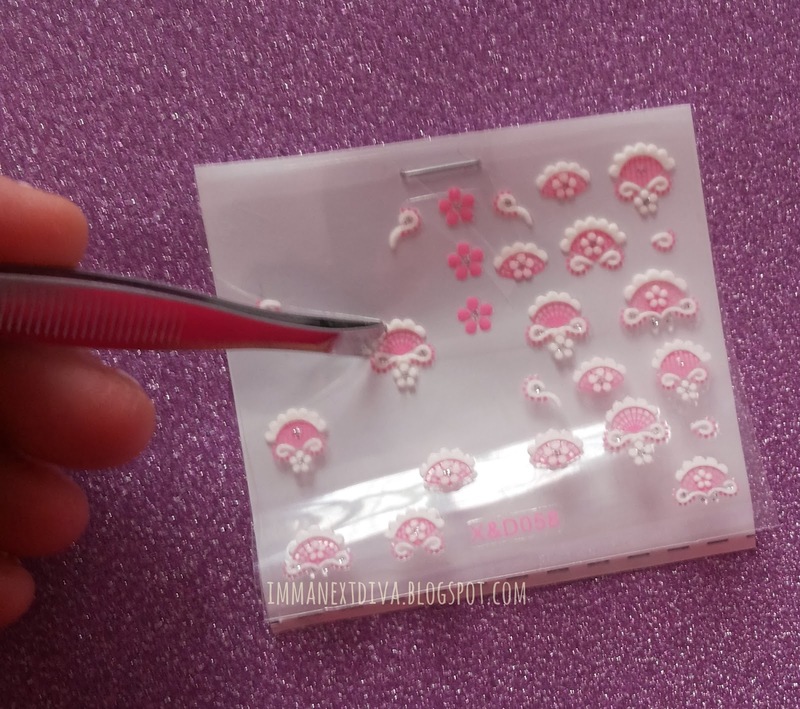 it strip can be used to add a little decoration on top your nail polish or you can wear it on its own. The concept of nail! 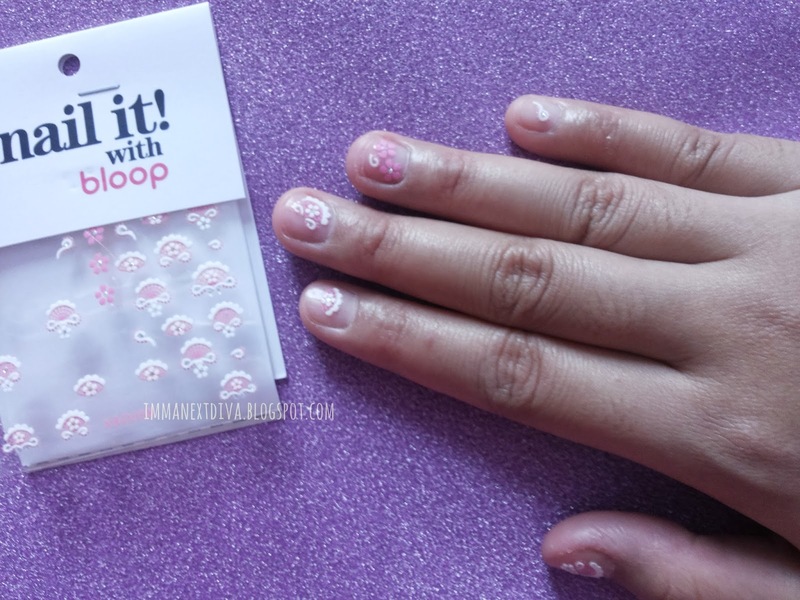 it strip is it is an instant nail polish and required no time for drying. 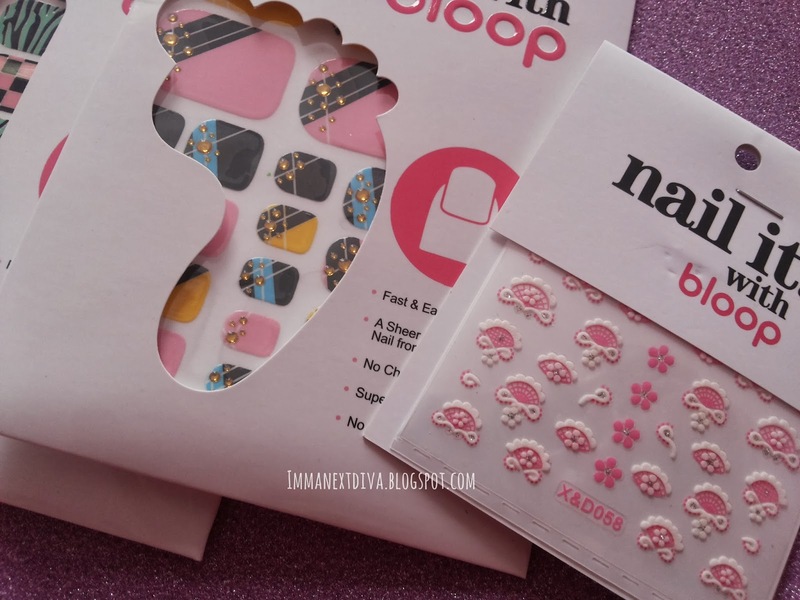 So, why nail it with bloop? Pick up any design that you like for each nail. For a better handling and control to place you strips, I recommend using a tweezer. Taraaaa!! Now you have it. It looks way cooler if you put it on top of your nail polish. I love it. My biggest concerned for nail product is to remove it. Using nail! it strips I can wear it and remove it any time using warm water. 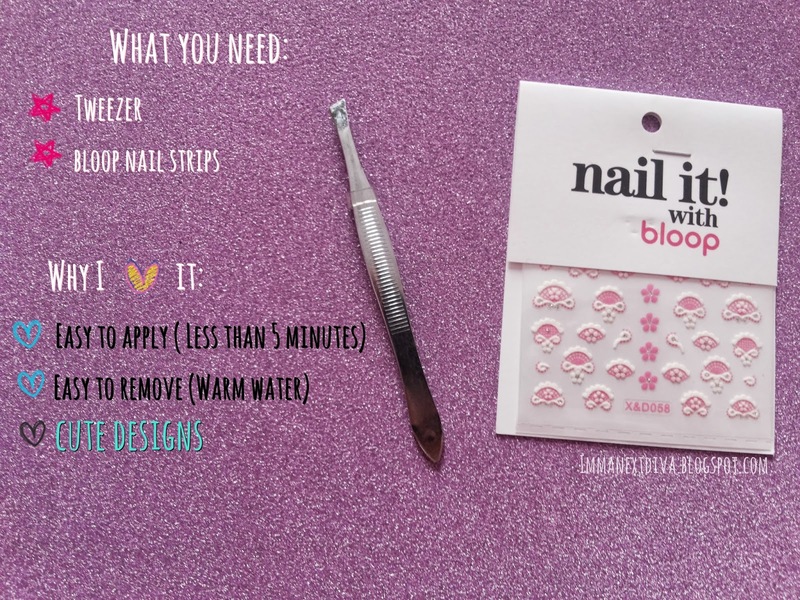 No nail polish remover needed here. (unless you wear a top coat or something). Its easy and fast. Of course, the designs are super cute! Use you own creativity and play with it. Have you try any of these products before? Or would you try this nail! it strips concept? (Click here) For discounted clothes, makeup, accessories and more!! (Click here) To shop 100% authentic designer handbags Michael Kors, Prada, Balenciaga, Gucci and more! !